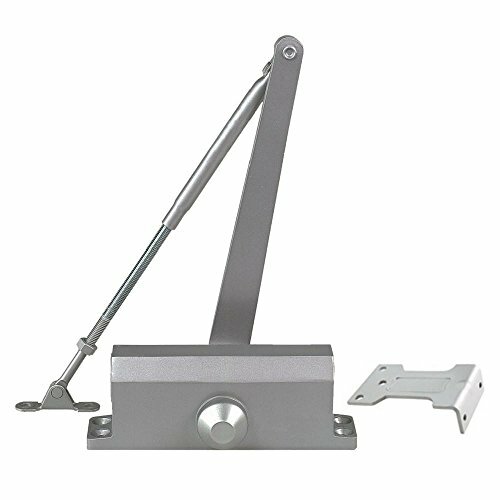 Imperial usa's Tc303 light duty door closer is a great alternative for use on interior and light WEIGHT exterior door applications. Its compact design has the features and appearance of a full size closer but requires less space on a door for installation, and provides complete functionality for any opening. This closer is commonly used on projects that specify multiple interior closers to address job conditions and budget concerns. They are excellent choice for hotels, condominiums, apartment complexes and single family residences. Level 3 spring tension rating with parallel arm. Aluminum alloy shell with aluminum finish. Ctc Hole pattern: 6-3/8 inch x 3/4 inch.